We hope your Mercedes-Benz lease experience was everything you hoped it would be and we look forward to continuing this journey with you in the way that serves you best. To make sure that returning your vehicle is just as smooth as driving it, we’re here to help you understand your options and responsibilities during the lease return process. Return your current vehicle to your dealer and settle any outstanding fees or charges. Then put yourself in a new Mercedes-Benz. A Simple, 5-Step Return Process. Step 1: 9 months before your expected return date, we help you kick off your lease return preparations by mailing an information package. Inside, you’ll find our Lease Return Guide, the First Class Condition Card and other valuable offers and information. Step 2: 3 months before the end of your lease, You will be contacted to set up a no-charge third-party vehicle pre-inspection. We encourage you to have your vehicle pre-inspection completed between 45 and 90 days prior to your expected return date to ensure enough time for maintenance or repairs if needed. Flexible and convenient, it can take place at your home, workplace, or even your local Mercedes-Benz dealership, at a time that works for you. This inspection will help you avoid any surprises when you’re ready to return your vehicle. Step 3: If you have any questions regarding your vehicle pre-inspection, we’re here to help. Just contact your Mercedes-Benz dealer to review your pre-inspection report. They’ll help you understand your options for repairs, replacement items and the costs for any excess wear and tear. 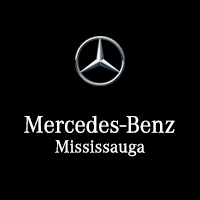 This is also a good time to schedule the return of your vehicle with your Mercedes-Benz dealer. Step 4: We encourage you to contact your Mercedes-Benz dealership before your lease matures and set up an appointment to return your vehicle by lease maturity. Scheduling an appointment in advance will help ensure the best possible lease return experience. Step 5: In the event you have not received the Lease-End Statement at the time of return, you’ll receive a Lease End Statement in the mail. This statement will detail any charges or fees for damages, kilometer overages or excess wear and tear, as well as any other outstanding payments, late charges, deferral fees or other charges and any credits you may be owed. Remember that completing your pre-inspection will help identify any chargeable issues early, so you can take any necessary steps to avoid them, if possible. We can help answer any questions you may have. Give us a call at 1-866-202-6969, we’re here for you.